This past quarter, cable giants Comcast and Charter reported some of their largest losses yet. Verizon and AT&T also lost subscribers in Q3. AT&T said it lost 390,000 customers while Verizon reported 18,000 people canceled their Fios Video subscriptions. With losses that large, it’s clear cord cutting is a very real threat to traditional Pay TV services. The streaming service is growing quickly, as is its competition. But even with the price increase, Netflix is still cheaper than other options like HBO Now or Hulu. 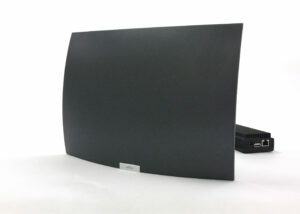 The highly anticipated Mohu AirWave is now available exclusively at Best Buy. This game-changing wireless device integrates live, local TV with free streaming channels. Set it up anywhere and watch on any device. Emma is a graduate from East Carolina University and joined the Mohu team in 2017. She’s passionate about spreading the word about the availability of free TV over-the-air and helping people ditch cable. She personally cut the cord in 2015 when she picked up a Leaf 50 antenna. When she’s not advocating for cord cutting, Emma enjoys running, cooking, traveling, and spending time with friends and family.